The sequel to Double Dream Hands just made my day! You have to love John Jacobsen's energy. Check out his website here. 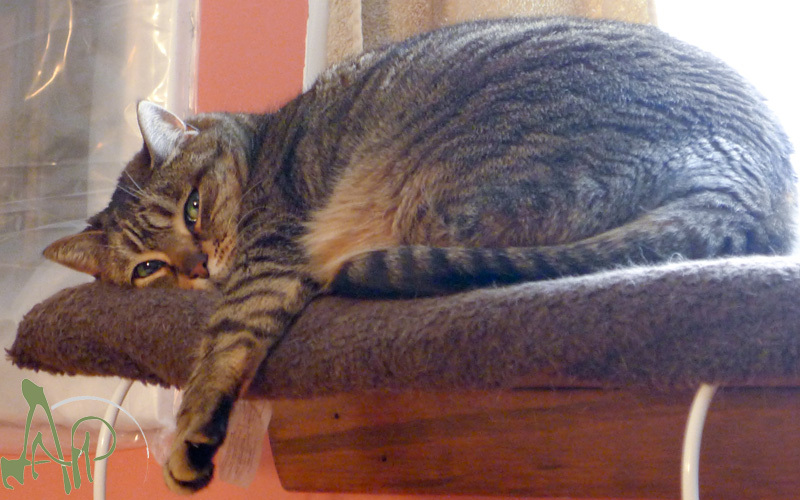 Addy looks kinda pathetic here, doesn't she? This was taken on Easter and she was a bit overwhelmed with all the activity at the house over the weekend. Don't worry, right now she's happily sitting on the laundry I've just washed and was about to fold. Because I wanted cat hair on my clean clothes. Grumble, grumble, grumble! 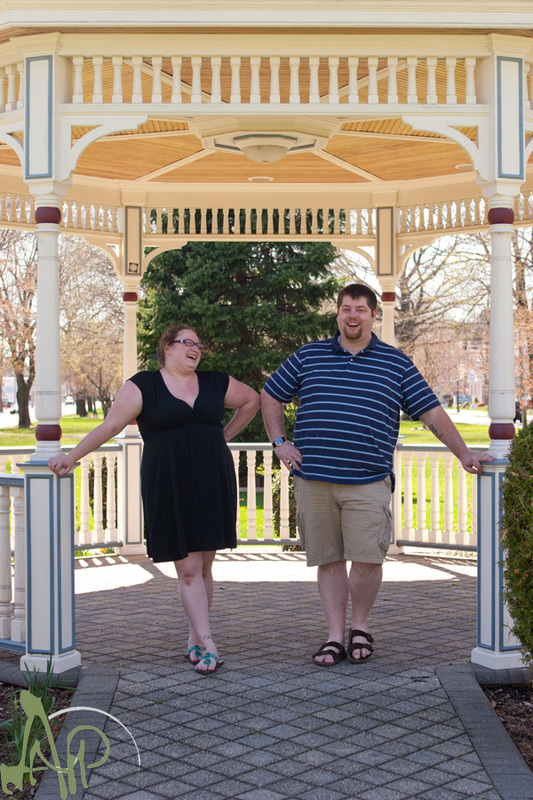 Sarah, Jeff and I got together to discuss the details of their upcoming wedding and we walked around Downtown Milford to get some shots. 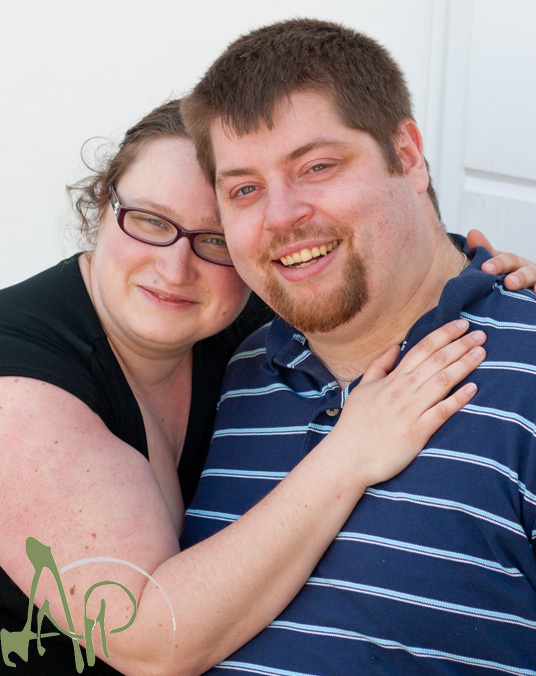 I always like to do an engagement shoot before a wedding because it gives me a chance to interact with a couple and for them to get used to me. As I found out, Jeff's eyes do not like bright sunlight at all! 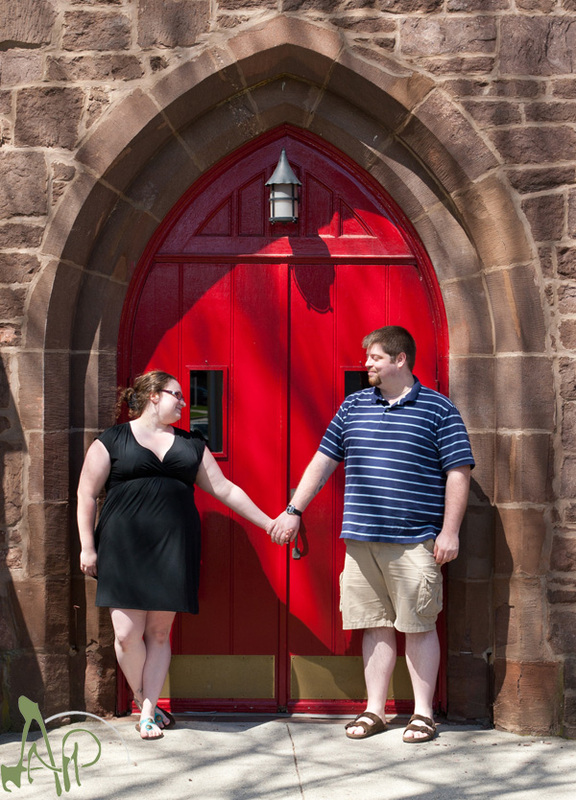 I've been wanting to play around more with architecture in my shots, and we happened across a lovely doorway. Sarah and Jeff wanted to do some shots by the duck pond waterfall, but it had been storming for a few days before the shoot. The waterfall was a very unattractive yellow and overflowing, so we hit up the weeping willow instead. A nice little black and white series. I think these two are naturals! I love the silliness of these two shots. The laughter continued throughout the shoot. 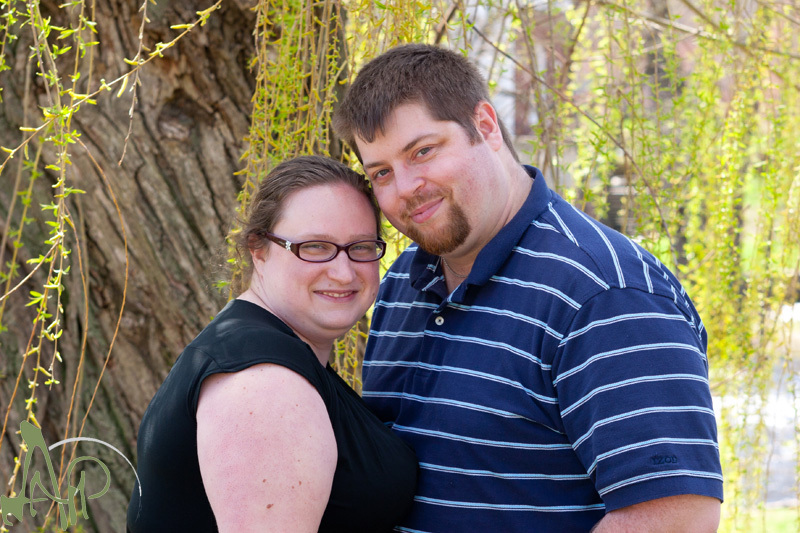 I can't wait for what I know will be a fantastic wedding in June. I promise to keep you in the shade, Jeff! I don't know what happens at 5:30, but I love it! 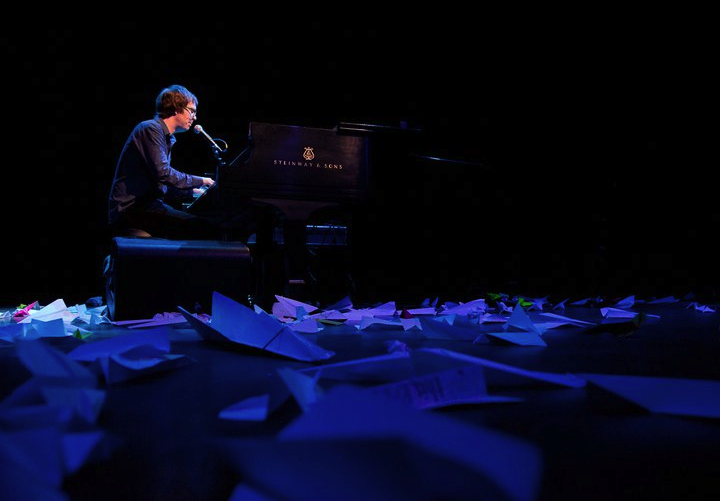 I love a good live show, and Ben Folds puts on one of the best. 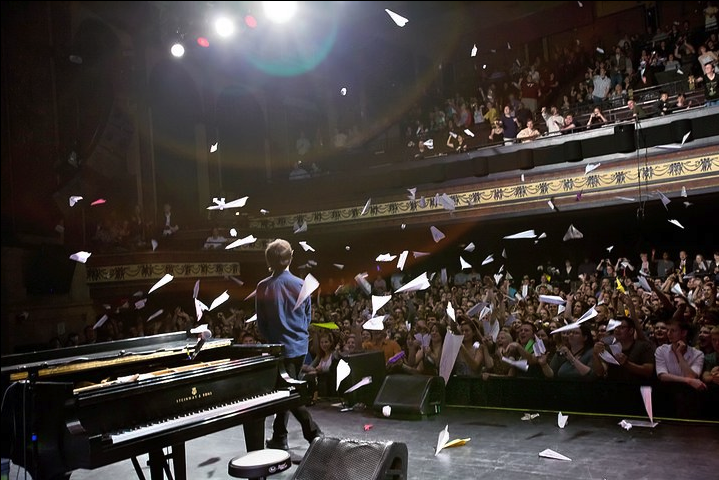 He always gets the crowd to interact with him, whether it's conducting the audience in a sing along, as shown above, or asking his fans to write requests on paper airplanes and throw them onto the stage when he walks out, as seen below. Ben played an entire show of requests from the fans. How cool is that? 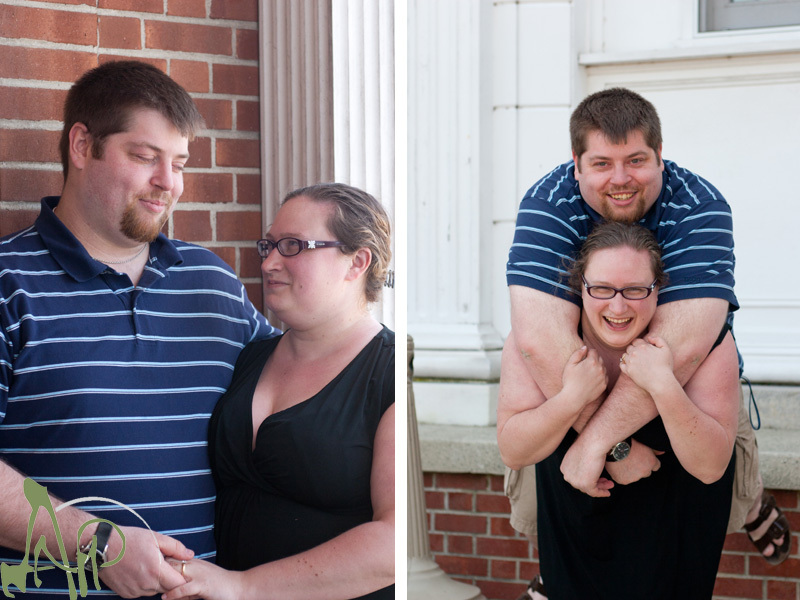 Also, I am totally jealous of these shots. Damian Kulash comments, "Can the album cycle actually be reduced to a single day? 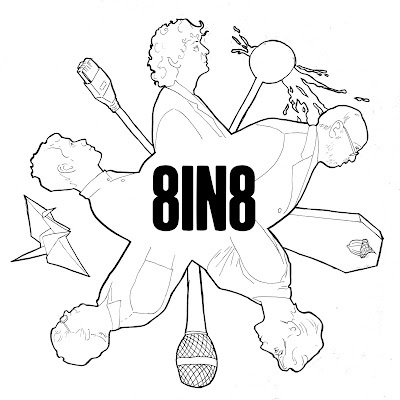 If the recording industry is supposed to be a means of connecting musicians to music listeners, well, then, here it is -- spontaneous and circular. They send us ideas and a day later we have an album, a show, and some semblance of a documentary. And then the next day (we hope), a big public flameout and a battle over rights and the release of competing slanderous autobiographies." Neil Gaiman comments, "I'm excited and nervous both because there is so much room for things to go wrong, and because it shows people how art is actually made. Or would actually be made if you locked three songwriter performers and an author in a box for a day and forced them to collaborate with Twitter to craft and record songs. When I write it down and look at it, it looks even more unlikely than it did in my head." 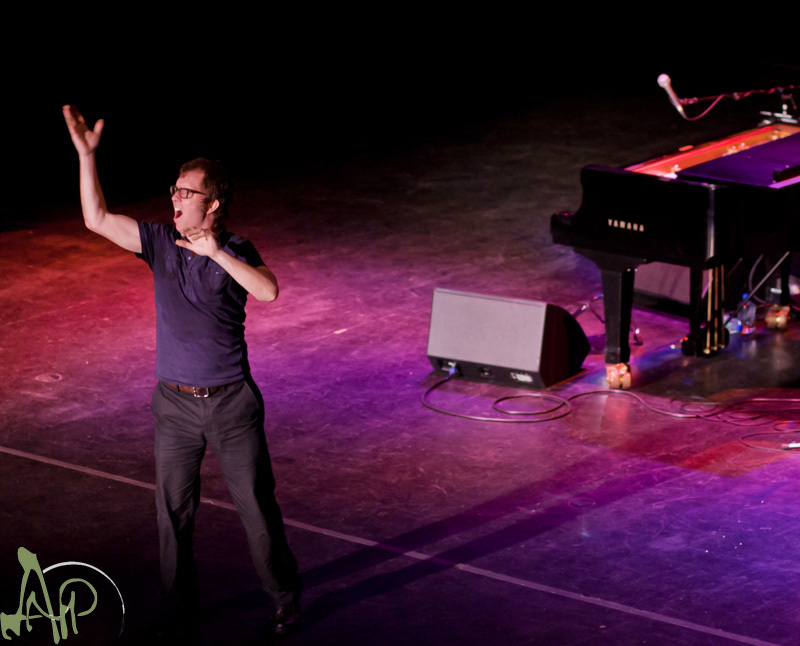 Ben Folds comments, "Digital technology allows singers who can't sing and musicians who look better than they play to sing and play in tune and in time. At the same time, it empowers the musician to distribute music without a middle man and directly to an audience within moments of its creation. It even allows two-way communication during the process so that the audience might collaborate to some extent or be present in some way -- like live music." Ben's full post is here. A write up from Spin is here. Neil Gaiman's thoughts on the project. Unfortunately, I was under the weather, so I missed out on watching this project unfold live. I can't commend these artists enough. I hate the way the music industry hoards music, when clearly, the musicians can get it done in 8 hours. It's projects like these that just make me happy, even after an 11 hour day in the office. How can you not be happy when you hear Ben sing about a suicidal squirrel? Check it out. I'm rapidly falling behind on photos that need to be processed, but I just had to post this one. There are many more Easter pictures to come and an engagement shoot, but for now, Grace steals the show. I bet that got your attention. By far, my favorite family tradition is our Easter Pie Day. There's something innately special about a food that you only make once a year. 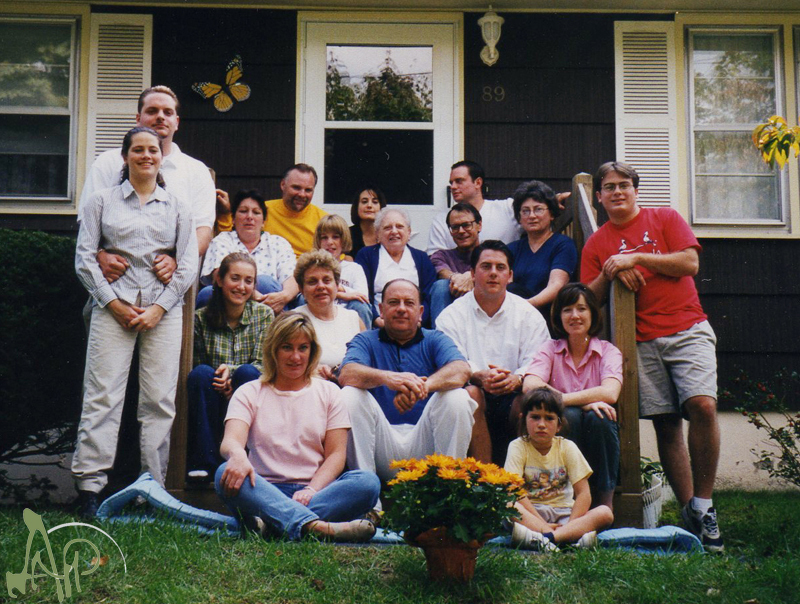 As far back as I can remember, my mother's side of the family would get together the Saturday before Easter and we would make Easter Pies all day. 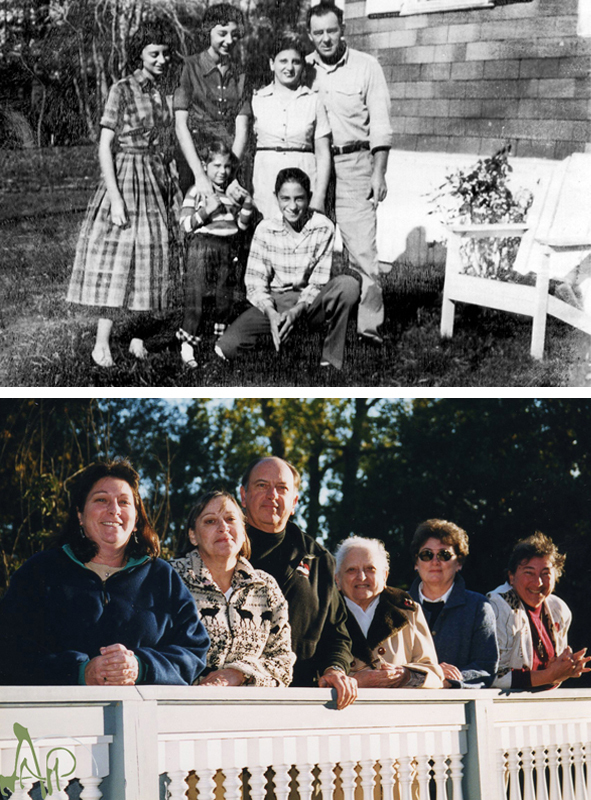 As I grew older, I began to dabble in the dough making process, but the entire family took part: Uncle Richie, the meat cutter; Aunt Judi, the pie filler; Gramma Soup, the Dough Queen; my mother, keeping us all on track. 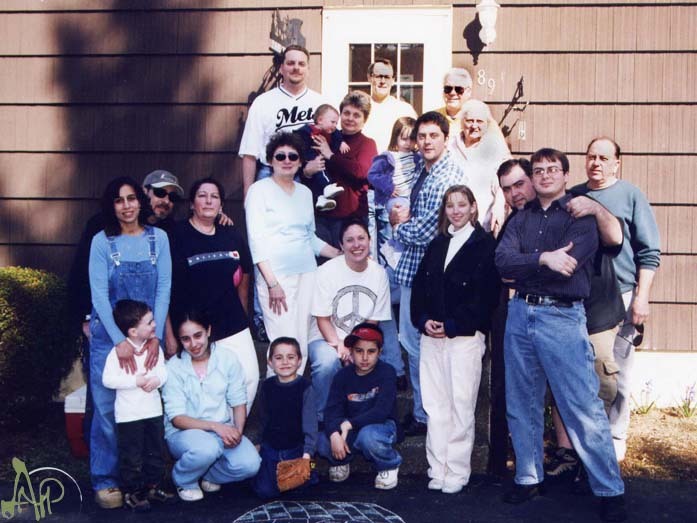 My cousins and subsequently second cousins were quality control, testing as many pies as they could throughout the day. You see, Easter Pie is best served right out of the oven. Half the pies made were eaten, but there were still enough for everyone to take one home with them. 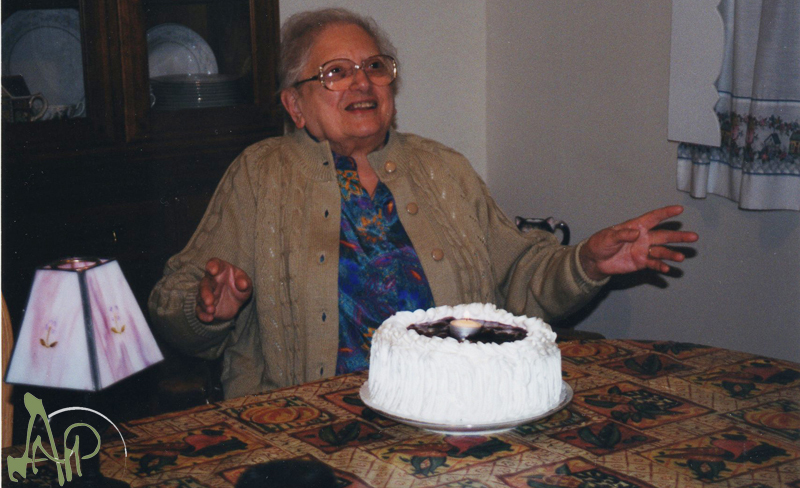 "I am really fascinated with trying to decipher Italian-American pronunciation of Italian cuisine. A perfect example of this is if you look at an Italian restaurant menu and try to find "basta fazul" on it- you know the bean and pasta soup that Gramma shared during visits on the weekend (actually spelled pasta fagioli). 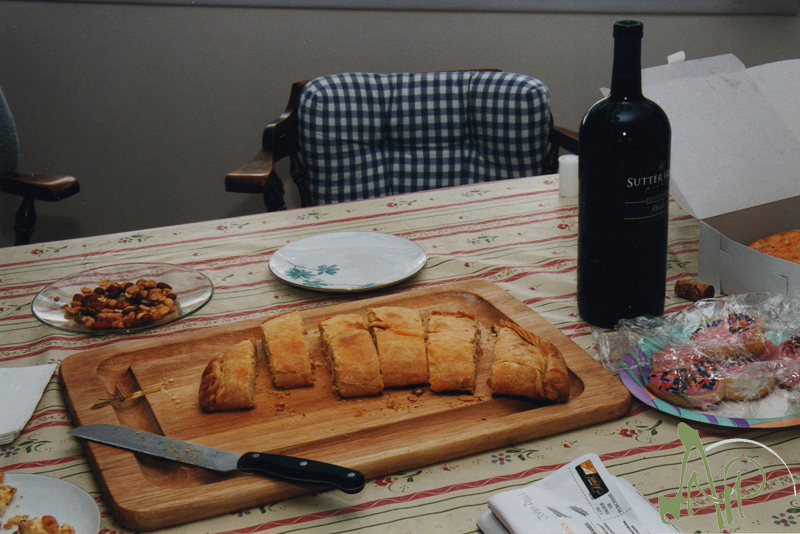 Michelle laughs every time I drop vowels saying muzzarell (mozarella), rigaut (ricotta), or spuyadell (sfogliatelle). I was describing to a friend that Michelle, Grace, and I would be gathering with family next Saturday to make what I refer to as Italian rice, egg, cheese, and meat pies. But I remember Gramma calling them "bizza gain." 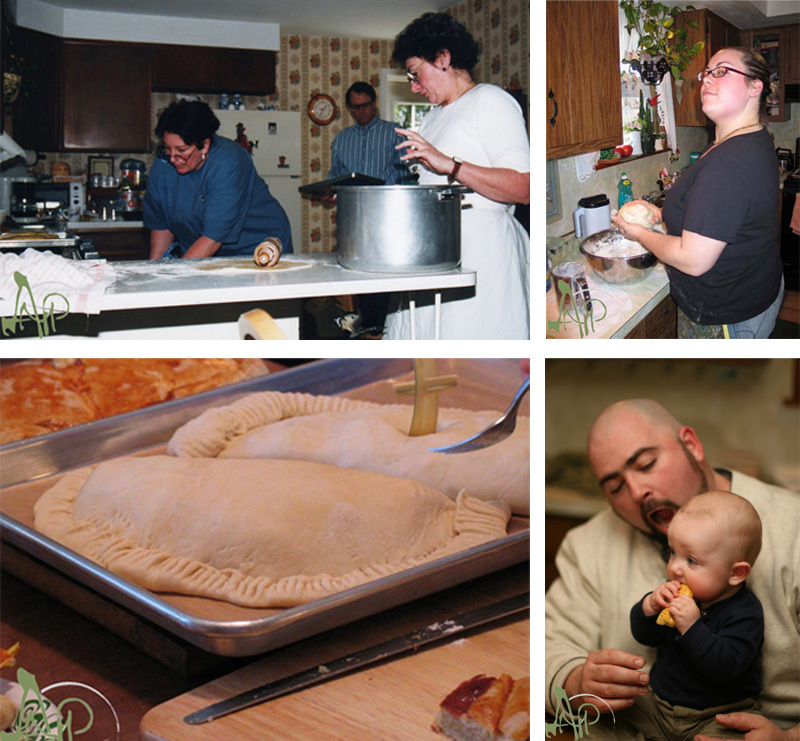 I mentioned this family ritual once to an Italian teacher at Fordham, and she said, "Well you know bizza gain actually means full or stuffed pie in Italian." I never realized that the actual Italian words were pizza piena. 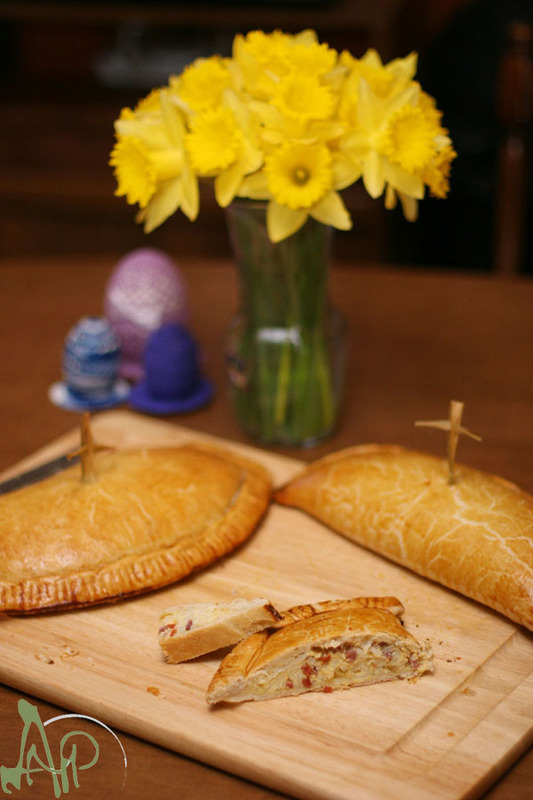 However you pronounce it, whatever you put in it, no matter what you call it, I am looking forward to seeing you all next Saturday in Connecticut to make Easter Pies." Since I'm the photographer, I say things better with images. I'm extremely lucky to have some fantastic, old photos to pull from here. The Mays on Easter Pie days. Easter Pie Day action shots. Over the years, rolls have changed. Family members have moved away and passed on. My mother is now the host of Easter Pie Day. My brother took the reigns in pie filling, which in my mind is the hardest part. Gramma Soup passed her dough making ability on to me. I still remember the first time she told me that I had "the feel" for it. I'm just happy to be able to play a part in the day, giving us all a reason to get together, catch up and enjoy some delicious food. I don't tend to blog Monday through Wednesday because my 9 to 5 wears me out. I couldn't hold this rant in though. I deal with customers, in both my daily job and my photography business. I cannot understand how anyone can treat their customers so horribly. Last week, I was trying to buy my sister-in-law a massage for her birthday. I've gotten her this before, so I called the same spa. I get that massage therapy businesses don't have regular hours, they work off of appointments, that's cool. I asked the spa when I could come down and pick up a gift certificate and thought this was a simple request because I work right down the street. They couldn't nail down a time for me, so I gave up on them. I called another business, this time in my home town, which would be more convenient for my sister-in-law. Second business took down my name and number after I told them I wanted to come down and purchase a gift certificate because this was clearly too difficult to do when I called. Guess what? They never called me back. I shared my story on Facebook and my friends recommended a third Massage Therapist. At this point, it was my sister-in-law's actual birthday, so I figured I wasn't going to have a gift to give her. I finally reached a responsible business owner. Danielle didn't answer the phone, but she called me back literally two minutes after I called her. So to Southern Touch Therapeutic Massage, thank you for restoring my faith in customer service! After today, that faith is shattered yet again. I've been budgeting for a new camera for two years now. 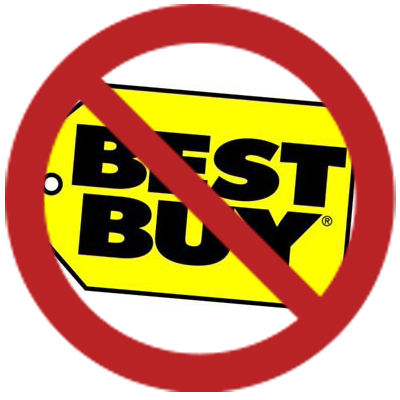 I've been researching prices and thought that Best Buy would be the best option for me. I'd get double rewards and I had a coupon. Well, the camera is out of stock, as their website told me, and it directed me to the store so they could order one for me. I try to avoid stores as much as possible. It's better for everyone; I don't have to deal with sales reps and it works better with my schedule. Against my better judgment, I went to the store and waited patiently for them to open at 10 AM, seriously why isn't your store open at 9? I went right to the camera department and pulled aside the "expert." I explained what I wanted, I knew that they didn't have any in stock, and told him that the website said they could order one for me. I also showed him the coupon that clearly says, In Store Only! After ignoring me, he told me I had to order the camera online. I once again pointed out the coupon, and he assured me that it would work as long as I entered the code. He pulled up the website and pointed out the place for me to enter the code. Sigh. I went back to the website which would not accept my email as a customer. Awesome. 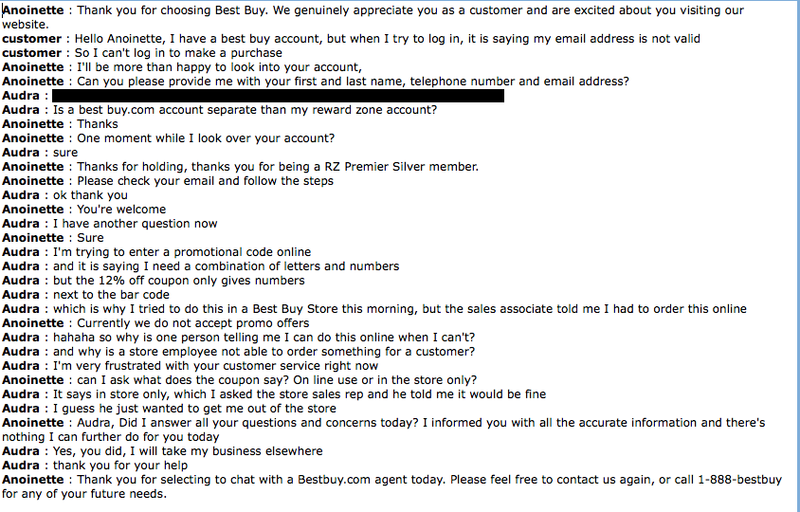 Because I'm not only a Best Buy credit card holder, I'm a Premium Silver Member. (I know it's hard to pick up on sarcasm, on a blog, but I'm dripping with it right now.) I decided to "Chat Now!" because I'm at work and chatting is easier than talking on the phone. Attached is the most unhelpful conversation I've ever had. Did you answer all my questions? Um, how about NO! Most of the people that I shared this chat with think I wasn't actually chatting with a human being, that it was an automated response. I'm not sure, myself. I should have tried to reign in my sarcasm, as it was lost on the robot whom I'll refer to from this point on as Annoy-ette, because all she did was annoy me. For the life of me, I cannot understand why people do not want my money. 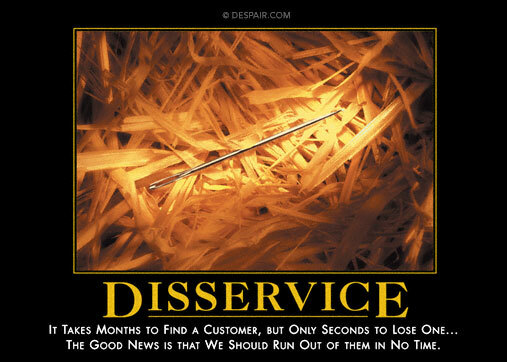 First off, what sales representative lets a customer leave the store unsatisfied and without a product? Why did Annoy-ette not even attempt to assuage an angry customer? I thought of going back to the store after I got out of work. I was going to demand to speak to a manager and I had a copy of this chat printed out. Then I realized, No. No, you are not going to waste any more of my time. I'm not going to go in there and be that angry customer. I'm sick and tired of only getting the treatment I deserve as a customer once I turn into a jerk and start yelling. Why is that the only way people respond to you these days? 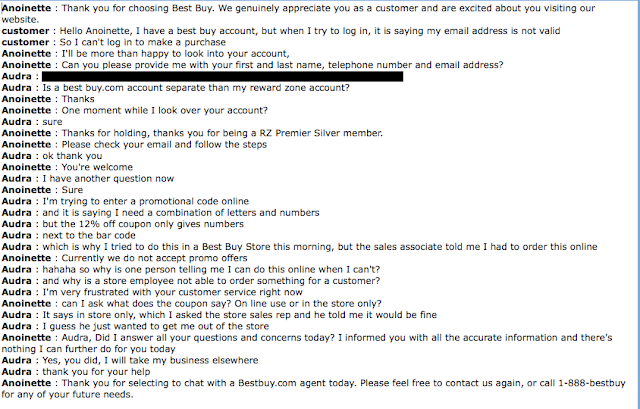 Instead, I'm going to cash in all my rewards from my Best Buy card and promptly cancel it. I know I'm one little tiny fish in a big pond, and they won't even be phased by it, but I'm done. I'm done with Best Buy. I'm done being treated like dirt. I hope you're all prepared! 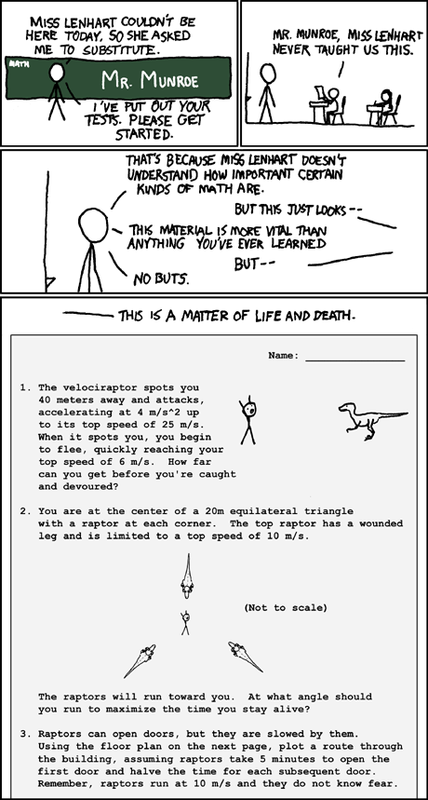 I've included some comics from xkcd to help you. 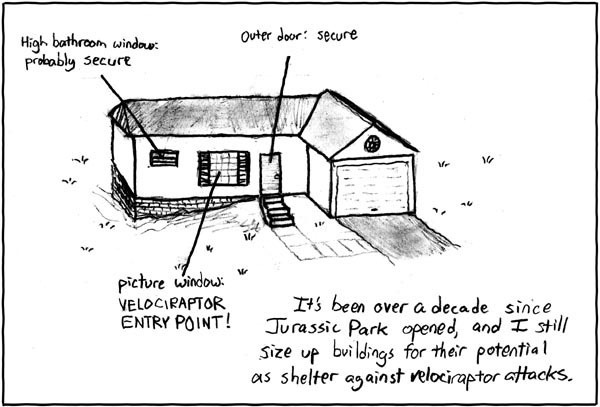 And of course, if you haven't already taken the quiz, be sure to go over to The Oatmeal to know how long you could survive being chained to a bed with a velociraptor. Sometimes I don't mind being woken up at 5:30 in the morning on the weekend...not when I wake up to something this entertaining. New Shoes: Something for everyone! Let me start by saying, I am not one of those shoe girls. I don't have hundreds of pairs of shoes; in fact, I'm the opposite. I have about 3 pairs in solid rotation, then I have specialty shoes. My shoe needs have greatly changed since my knee surgery, so I figured it warranted a new post. Say hello to my massive arch, the bane of my existence. In my family, we've got: super arch, completely flat feet and/or wide feet. I'm lucky enough to have the first and the last. It's always made shoe shopping fun for me. About ten years ago, I had the silly idea that running would be the best method for me to get into shape. I am not a runner, and my super arch revolted. Within two weeks, I ended up with stress fractures on both shins and went to see a foot specialist. The doctor recommended custom foot orthotics. So I went to a store, dropped about $500 bucks on two pairs and figured, all my foot issues are gone! If I went running, sure, these helped prevent shin splints, but it constantly felt like my body was fighting them. Hip, knee and ankle pain resulted from my body trying to adjust to a new gait. What happened two years ago completely broke me from wearing these ever again. I'd never played sports with these orthotics in, mainly because they wouldn't fit into my softball cleats. When I played THE pick up game of basketball, I put them in, and pop goes my ACL. Was this THE only factor that lead to my injury? No. Was it enough for me to reconsider the need for custom orthotics? Absolutely. I went from Danskos and Ariats, both lovely, well made brands of shoes, to mainly Converse. My knee gets cranky if I wear anything with a heel, even a chunky one. My body is fighting against it, so I've moved on to shoes that are as flat, with as little sole as possible. When I work out, I'm either barefoot or in socks. My muscles know what to do on their own to prevent me from getting hurt. Now try finding a shoe that is dressy enough for a wedding, where I'm on my feet a good 10 hours, that is wide enough for my fat feet and flat enough to allow my body to work its magic. Bam! 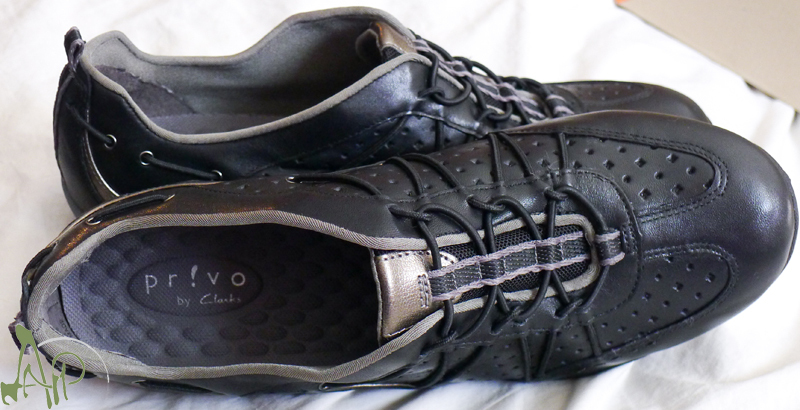 Pr!vo by Clarks. I saw them and fell in love. 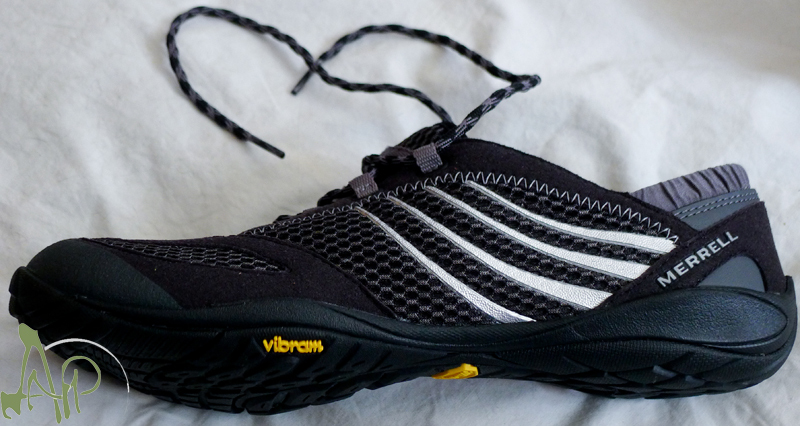 Awesomely cushioned footbed, super thin sole, actual leather and wide width! Huzzah! 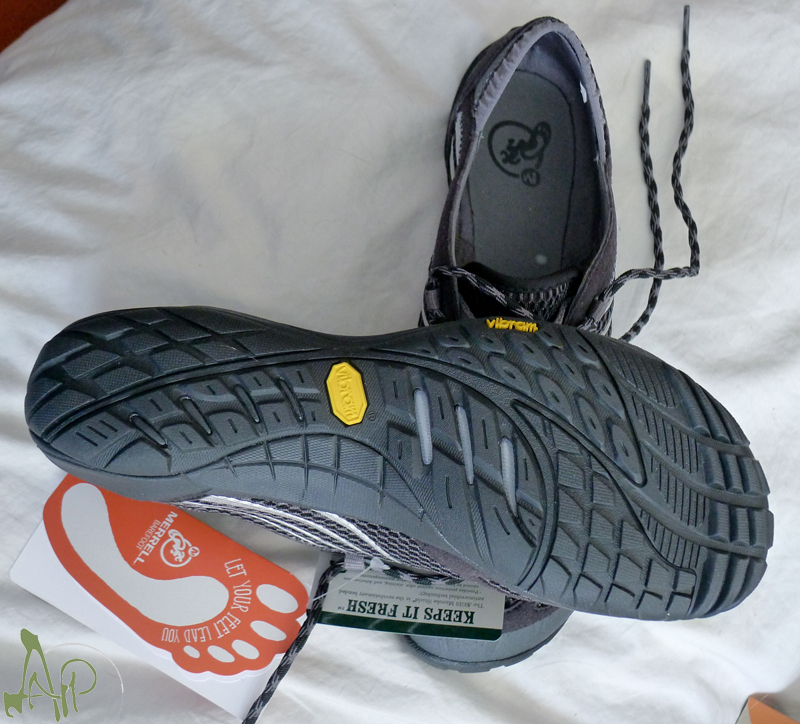 And just because it's almost hiking season, I picked up a pair of Merrell's Barefoot sneakers. They're supposed to be similar to those crazy toe shoes, but without the individual sleeves for toes. I'll save you my rant on toe separation anxiety. Oh, and what did I mean by something for everyone? 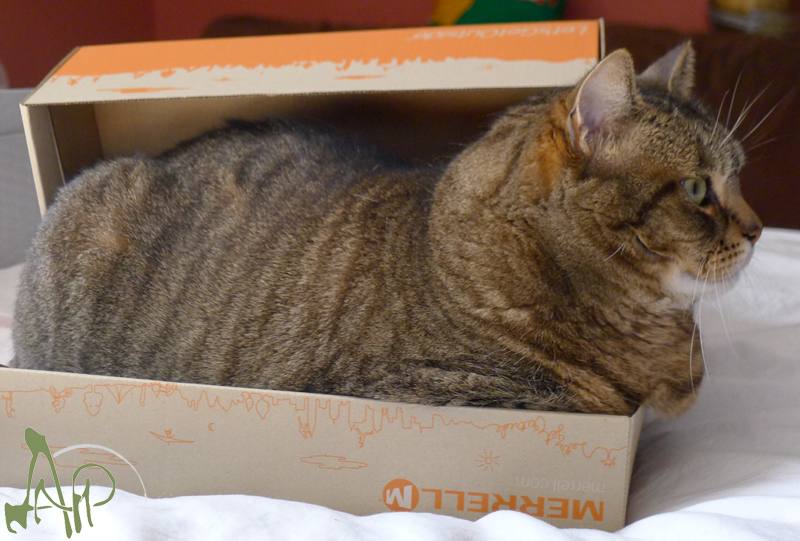 Addy was able to enjoy the boxes once I removed the shoes! This weekend, I was fortunate enough to photograph the Hardstyle Kettlebell Certification, hosted at my gym, Kettlebell Daily in West Haven. 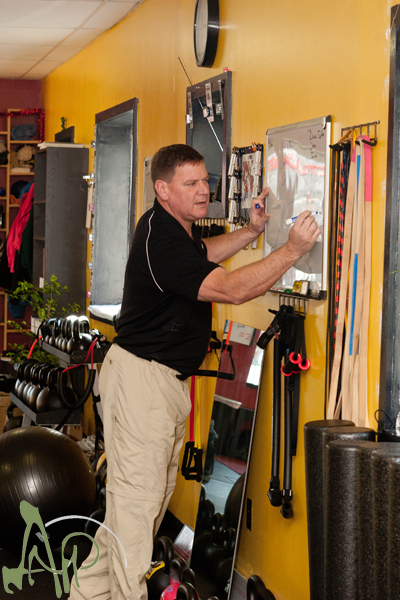 The HKC consists of: Knowledge and competency to perform the three most basic kettlebell drills – the swing, the get up, and the goblet squat, techniques and drills for core activiation, flexibility, increased power, strength, and athletic performance, and the HKC template for designing an infinate number of kettlebell workouts. It was taught by RKC instructor Dan John. Dan was animated and incredibly knowledgeable. I felt like I learned a lot just by listening as I took pictures. Above are the men and women who took the course and passed. Dan John instructing early in the day. 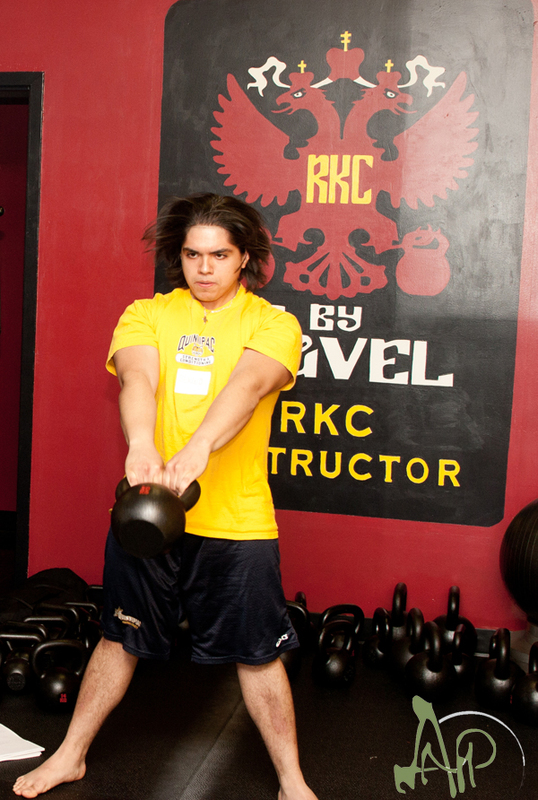 Sergio practicing his hardstyle kettlebell swing. I'm lucky to have Sergio in my morning classes at the gym. He's an incredibly focused individual. Linda being instructed by Dan John on her swing technique. 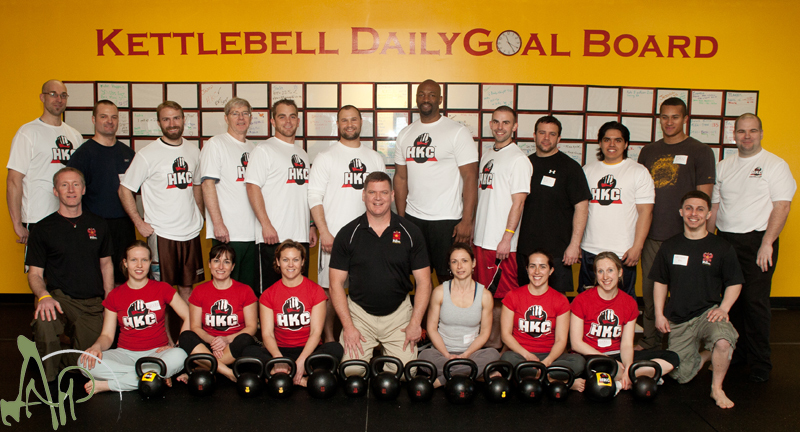 Congrats to the newest HKC's and to Steve Rowe for hosting his first of many events! Here's wishing a happy birthday to my favorite musician, E. I've got a music theme going on the blog right now, and I'm going to roll with it. I have to give credit to Mr. E for renewing my excitement in music. 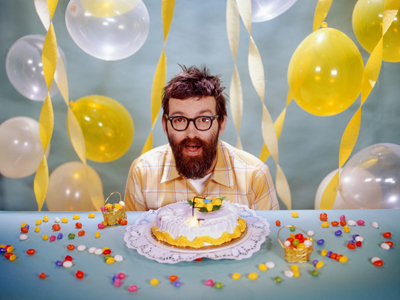 The Eels released 3 albums in 18 months, which was amazing and I wish all artists would get their act together and do something similar. I think that the music industry wants artists to space their work out over a few years, to keep the fans waiting and wanting. Listen, if we're a fan, we're going to be just as excited for new material, regardless of how many years/months it's been since the last album. My love of the Eels started in college. I blame the ridiculous video for Last Stop: This Town, which was played in our dining hall almost every single morning. The first time I saw it, I laughed so hard, milk almost shot out my nose. My friends and I dubbed it the "Carrot Song". Watch the link and you'll see why. I picked up the album Electro Shock Blues shortly after and to this day, it's a master piece. I don't listen to it often; I save it for those times when I'm really down on life. Without fail, I can listen to that album, feel whatever sadness is going on in my life, accept it, then move on and end up on a positive note. I like people to form their own opinion on music, so I'm not going to get into the back story of the album. Look it up online if you're interested. Better yet, read E's autobiography, Things The Grandchildren Should Know. I enjoy The Eels because I feel like each album tells its own story, has its own sound and isn't really repeated. E takes chances with monstrous double albums, trilogies, tackles deeply personal issues and shares it with the world. To me, that's highly inspirational. And hey, the dude wrote a play about Mrs. Miller. 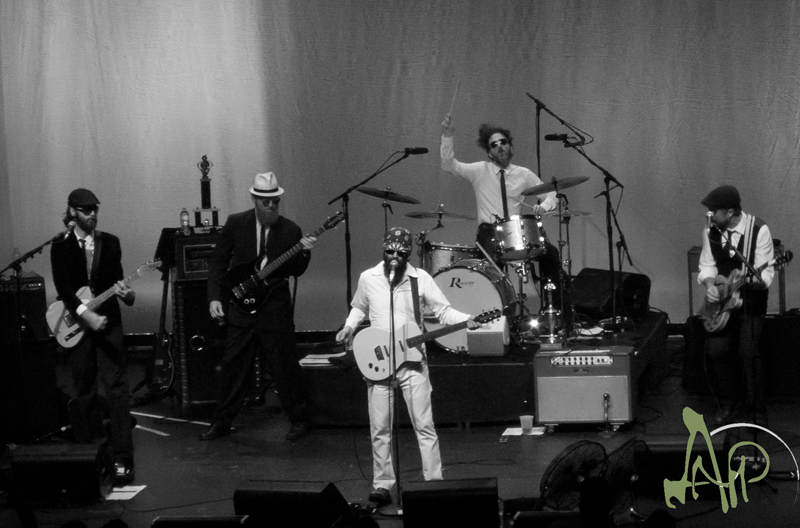 After a last minute cancellation of a New Haven show back in 2008, which I'm still bitter about, I finally got to see the latest version of The Eels tour last year. The band is constantly in flux and every tour has a different line up of musicians and sound. 2010 was a Rock Show, that's for sure, and I'm excited to see what 2011's Tremendous Dynamite will bring. So to you sir, happy birthday. Thanks for the inspiration, the vision and the guts to put it out there for the world. 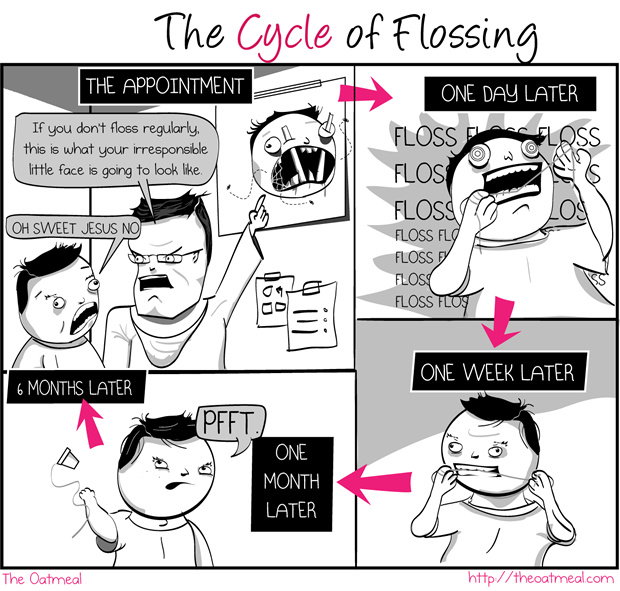 I feel exactly the same way, The Oatmeal! If you haven't figured it out by now, I'm heavily influenced by music. Give me the right album on my very worst day, and I'll get through it. I've recently been going through some of my REALLY old stuff and I thought I'd give a big shout out today to one of my favorite bands, Hotel Lights. Check out Debora Francis' Photostream here. 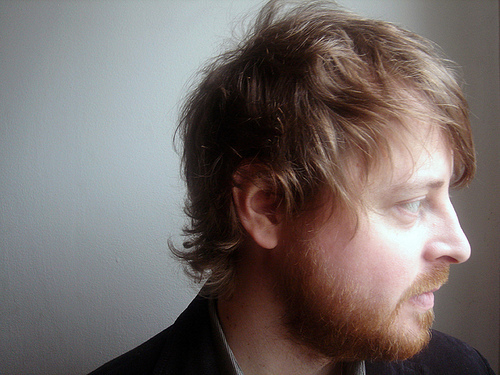 Darren Jessee formed his own group after Ben Folds Five broke up in 1999. I was fortunate enough to catch him play live solo in New York around the same time. I believe it was before the official break up of BFF. I was posting on a BFF forum, talking about how I wanted to see Darren play live, but had no friends to go with. An amazing group of fans took me under their wing, I met up with them in Massachusetts, we drove to New York and had an amazing time. This was all before the days of GPS's and way before I had a cell phone, and come to think of it, meeting random people from the internet wasn't the most brilliant idea ever, but it all turned out fine in the end. The only regret that I have is that I've completely lost contact with these people. If by any chance Jodi, Rachel, Kate or Leigh is reading this, I'm the crazy girl that drove from Rhode Island to go to see Darren play with you! Email me! And just to prove it, here's a photo from that night. I cringe at the quality now, but to 19 year old, aspiring photographer Audra, this was one of my all time favorite photos. In my defense, I was using a point and shoot film camera without flash because I didn't want to disrupt Darren. I was lucky enough to get to talk to D after the concert and he was completely gracious and kind to me. I was one of those awe struck fans that could barely get two words out, but he smiled at me and asked me where I had come from. I quickly explained my journey from Rhode Island, how I'd have to pull an all nighter to be able to drive back and make it to my performance the next morning. He asked me what performance I had, and I explained that I was a trumpet player in my university marching band. And yes, to this day I am still mortified about admitting that, but he just laughed and said, hey, I was in marching band too! Now for the music! 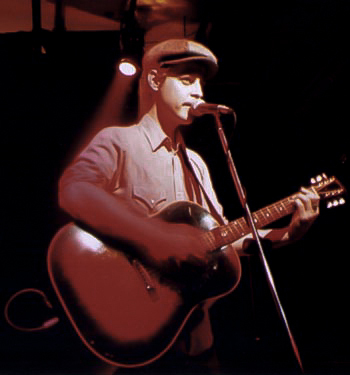 Darren released a version of the song later known as "Magic" before it appeared on Ben Folds Five's final album The Unauthorized Biography of Reinhold Mesner. I like this version, no offense Ben, better. Following that is a song from Hotel Lights self titled album, AM Slow Golden Hit, one of my favorite tracks. There are two versions of the song Norina. 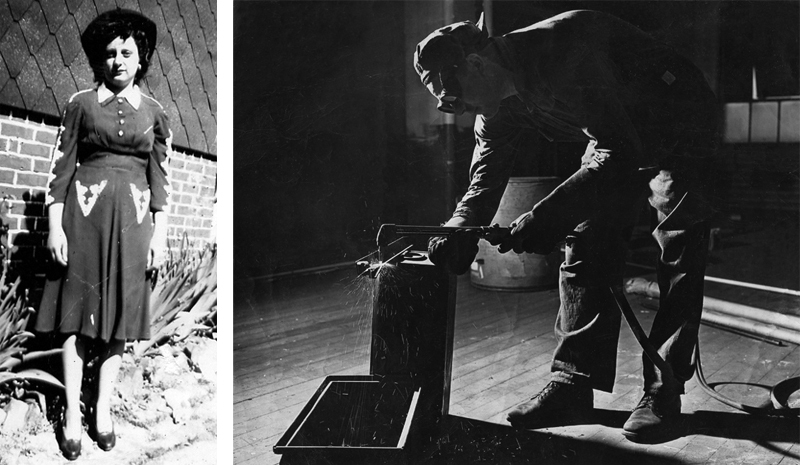 The first is from the solo show I was talking about before, and the second is from the album Firecracker People. I love being able to compare the two. Next, I followed up on a song Darren cowrote with Ben Folds because I think it really showcases his songwriting, I just wish they had recorded it together! 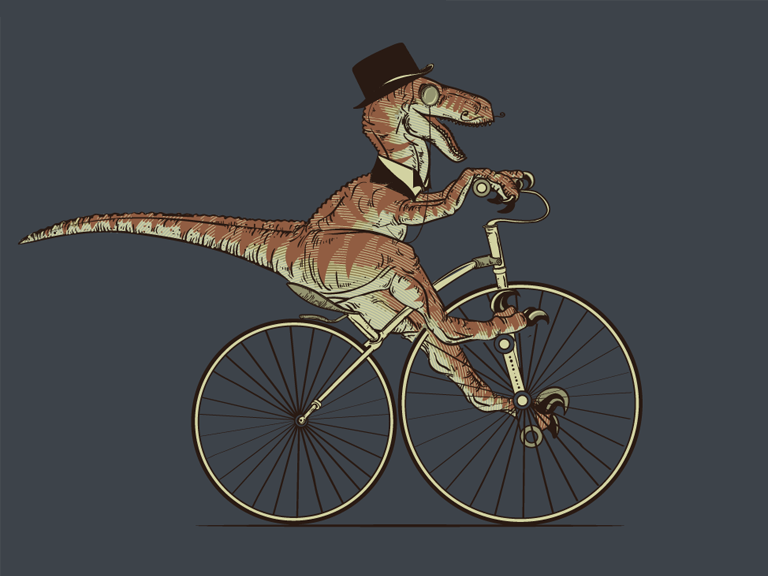 Then I found a song I had no clue existed, yey for Grooveshark!, a cover of They Might Be Giants' The End of the Tour. Finally, an oldie, but a goodie. For Those of Y'all Who Wear Fanny Packs is just Ben Folds Five goofing around in the studio, but that's Darren rapping on the track. It's such a departure from his emotional music, I had to throw it in my playlist. 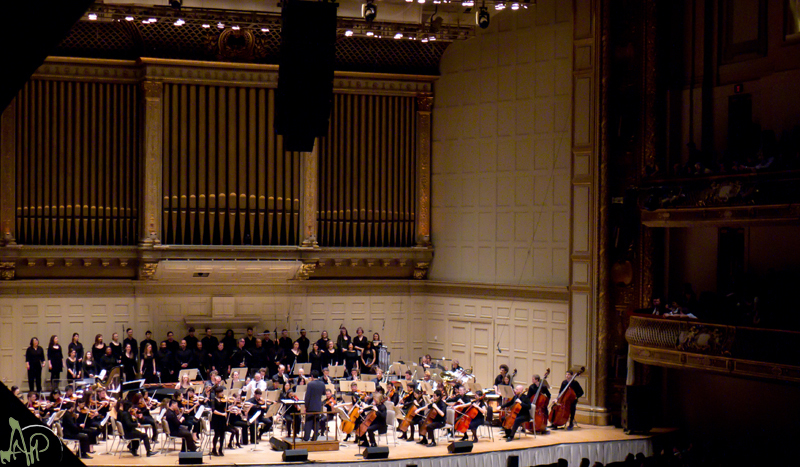 I've returned from my trip to Boston where I saw the Video Game Orchestra perform. 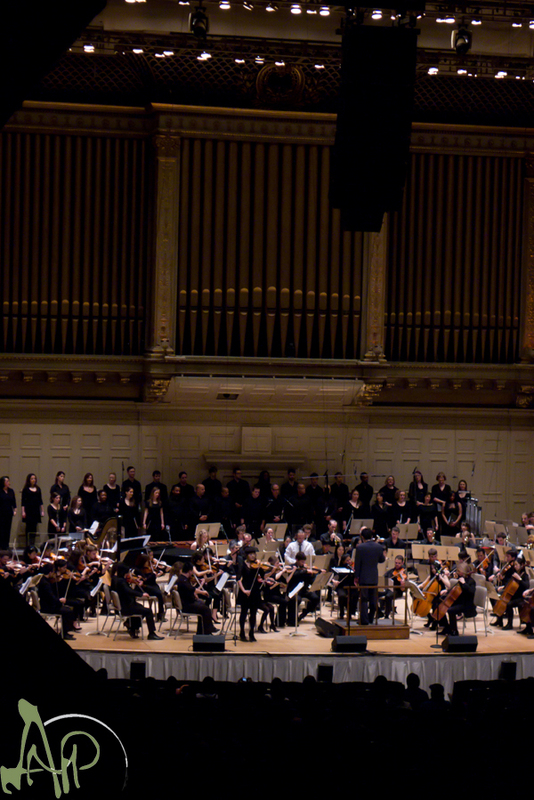 The show was titled: Back to the Future: Two Generations of Film and Video Game Composers, and it was held at Symphony Hall in Boston. It was a fantastic experience shared with my friend George and a few of his other friends. I was blown away at Symphony Hall; my pictures do not do it justice. I've included a few tracks from the night over in my music widget. It was amazing to hear Lord of the Rings in person. The three movie soundtracks are a regular in my ipod rotation. Another highlight for me was Alan Silvestri's conducting of two songs I am very familiar with: Back to the Future and Forest Gump. My high school concert band attempted to play these songs, and I remember how challenging they were. I felt for the trumpet section on every missed/cracked note. After the intermission, the real fun began: the video game portion of the show. Songs included: Super Mario Brothers, Myst, Afrika, Metal Gear Solid, Final Fantasy and Chrono Cross. Fully orchestrated video game songs makes me wish I still played trumpet. Unfortunately, the electric guitar was too loud and covered the sounds of the orchestra in some parts. Other than that, the concert was great. 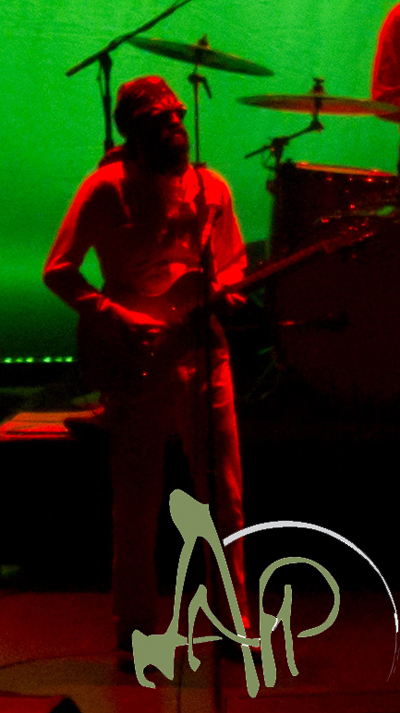 On another note, I purchased my tickets for the two Eels shows in July in NY. I'm super excited and can't wait to see what E has in store for this leg of the tour!